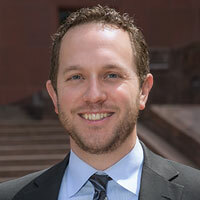 Benjamin Nivison is a results-oriented personal injury attorney and counselor who believes that exceptional client service starts with a genuine interest in and understanding of each client’s unique circumstances. No two cases are precisely the same because no two clients are precisely the same. Benjamin is at home and at his best when helping his clients navigate and resolve high-stakes disputes involving substantial potential damages and layers of complexity. Benjamin focuses his practice on the resolution of claims on behalf of injured people and their families and has significant experience trying catastrophic personal injury cases, medical negligence claims, products liability actions, and wrongful death matters. Over the course of his career, he has also had marked successes bringing consumer protection and whistleblower matters on behalf of members of the public. Benjamin has handled matters through trial and appeal in both state and federal courts, as well as in various administrative settings. Prior to joining Rossi Vucinovich, Benjamin was a litigation attorney associated with two well-known Pacific Northwest law firms. He was a significant part of case teams defending matters for insurance companies and large corporations, and he became intimately familiar with the bullying culture such litigation so often reflects. Too many cases were treated by insurers as wars of attrition, with little regard for the fact that people and their families on the other side were suffering in very real ways. Benjamin lost his appetite for that type of work, and he began to shift his practice toward helping the proverbial “little guy.” This culminated with him joining Rossi Vucinovich in 2016, where he now is able to draw upon his prior defense experience to help drive positive results for his clients. $1,015,000 Kellogg vs. Ralph’s Concrete Pumping, Inc. King County, Washington jury verdict in favor of construction worker injured when an overhead concrete pump failed and dumped liquid concrete on his head, neck, and back. $3,350,000. Catastrophic Injury / Products Liability. Client construction worker severely injured when heavy construction machinery began moving unintentionally, due to safety violations and negligent product design. $1,500,000. Medical Negligence. Improper medical care during delivery resulted in the death of a newborn child. $713,000 – McGuire v. BNSF Railway Co. – Pierce County, Washington jury verdict in favor of 59-year-old locomotive engineer injured in a railyard collision during low-speed switching maneuvers. Non-surgical injuries to neck and back. Last pre-trial offer from defendant railway was $100,000. $1,042,420.03 – United States ex. rel. Wittenberg v. PUD No. 1 of Skamania County – Represented whistleblower in this settlement of a False Claims Act (FCA) case arising from alleged fraudulent underpayment to federal government by local utility commissioners.